The 2019 Fluoropolymer Division Conference program is now complete. This outstanding group of presenters, companies and individuals, will provide essential information for processors, compounders, converters and formulators. These two days are packed with relevant content and programming specifically for companies that manufacture fluoropolymer resins or process, convert, compound or formulate fluoropolymers. Join us in iconic Asheville, NC. 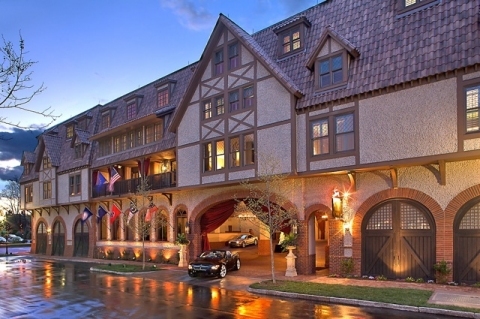 Hosted at the award-winning Grand Bohemian Hotel Asheville, Autograph Collection, a resort-style luxury hotel, with boutique accommodation and European-style accents. Kickoff with a Golf Outing at the Grove Park Inn Golf Course (ticketed event beyond registration). Differentiating Fluoropolymers from the other classes of PFAS with Barbara J. Henry, Ph.D., Toxicologist, W.L. Gore & Associates, Inc.
ACC FluoroCouncil Update on Activities Related to Fluoropolymers with Jessica S. Bowman, JD, Executive Director, FluoroCouncil American Chemistry Council. Receive an Economic Environment for Fluoropolymers Update from Perc Pineda, PhD, Chief Economist, PLASTICS. Manufacturers Presentation, New Materials Review by executives from AGC, Chemours, and Daikin. 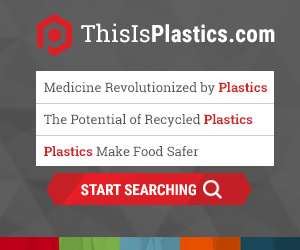 Patty Long, Interim President & CEO, PLASTICS will share an association update. Get an exclusive presentation of the Guide for Safe Handling of Fluoropolymer Resins (Version 5). Each registered attendee will receive a copy. Take a dive into how equipment has evolved over the years presented by Kathy Lavery, Sales at Jennings International. Real World Regulatory Support for Proposition 65 – a resource orientation with guide presented by Michael D. Easter, JD, CHMM, Principal Ensight. PFOA Groundwater Panel Activity presentation by Steven P. Risotto, Senior Director, Chemical Products and Technology Division, American Chemistry Council. Suzanne Morgan, Senior Director, Government Affairs & Grassroots Advocacy, PLASTICS will share a material tariffs update. The Future Directions of the Fluoropolymers Industry by Sina Ebnesajjad, President, FluoroConsultants Group, LLC. A tour with wine tasting will be held at the Biltmore Estate (ticketed event beyond registration at only $100). View the agenda including conference highlights. The price is $189 per night and the cutoff date is 4/22/2019.